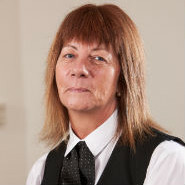 I have worked with Scotmid Funeral Directors as a Roving Funeral Arranger for just over one year. In that time I have covered most of the branches providing holiday and sickness cover where required. I enjoy meeting and providing help and support to families at, what can be a very difficult time. This is a very rewarding role. I live at home with my husband. We have 3 children and the youngest is still at home.